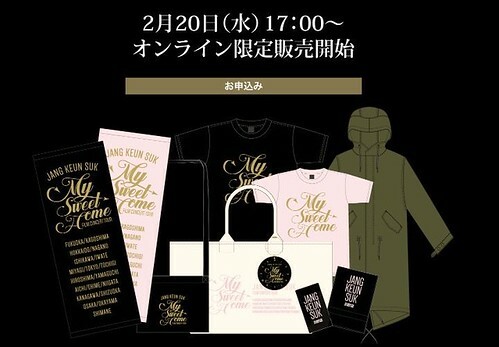 As we announced previously, JANG KEUN SUK FILM CONCERT TOUR ~My Sweet Home~ is scheduled throughout Japan this spring. This time the official goods are sold online only. It starts from February 20th 17:00. If you’re interested, please access KOARI.net! If you’re not the member of KOARI.net online, please refer to this post, too. As we announced previously, ASIA PRINCE JKS LINE stickers is now available at LINE sticker store. If you’re interested, please access the sticker page, but I’m afraid if it might not be sold outside of Japan. AP company will release JKS LINE stickers on December 26th, 2018. There are 40 types in total. 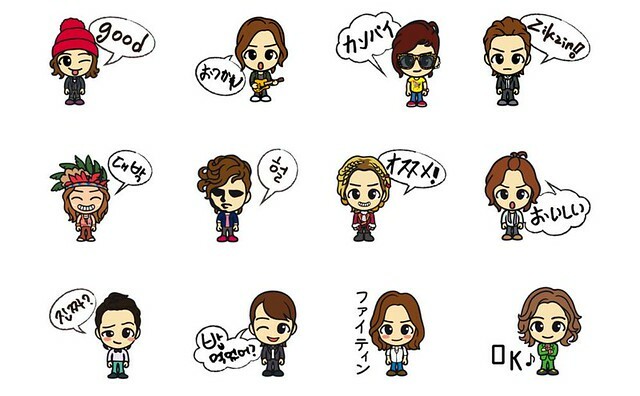 JKS characters that have been sold at AP shop (Shibuya) until now are used. His typical phrased and his handwritten words are used, too. You can get them for 120 yen or 50 coins. NOTICE: KOARI restarts to accept the order for JPN FC members from Nov. 13 noon. 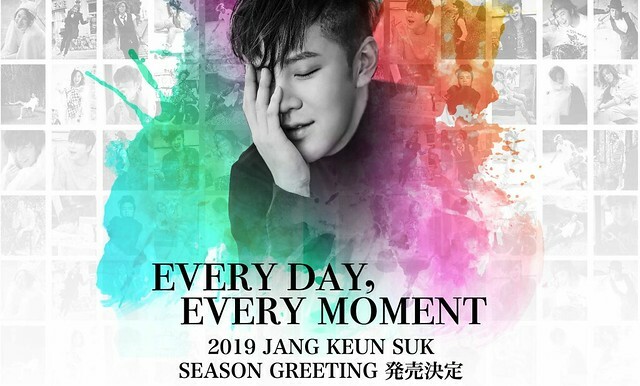 ‘EVERY DAY, EVERY MOMENT’ 2019 Jang Keun Suk Season Greeting official calendar goes on sale. 8 years have passed since Jang Keun Suk Japan official fan club started. 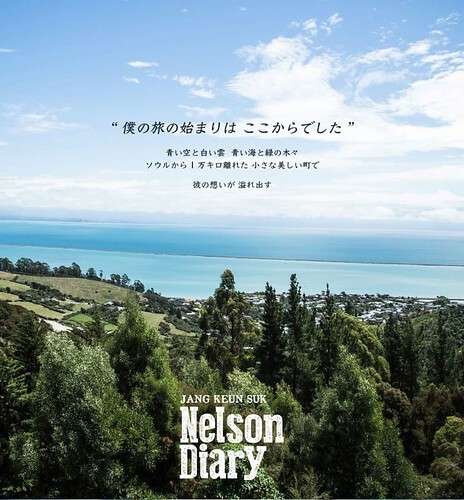 In the past 8 years, he has released his first original single album ‘Let me cry’, and held THE CRI SHOW I~IV, ZIKZIN fes, GIFT fan meeting, etc… We decided to release a precious calendar, looking back to our precious memories. Hundreds of shots that were taken for his previous calendars in 8 years are re-edited. Unseen shots that were taken by JKS himself are included in every month. In addition, his handwritten numbers are used for dates of the calendar!! Furthermore, 2019 Jang Keun Suk season greeting consists of various items. Please look forward to getting them at hand! Jang Keun Suk is doing a lottery draw to choose 3 lucky winners who purchased JKS voice accessories. Every item has the serial number. He picked up 0427, 2131 and 0357. The winners will get a secret message ring only for you! Congratulations! For more details about the voice accessories, please refer to this link. 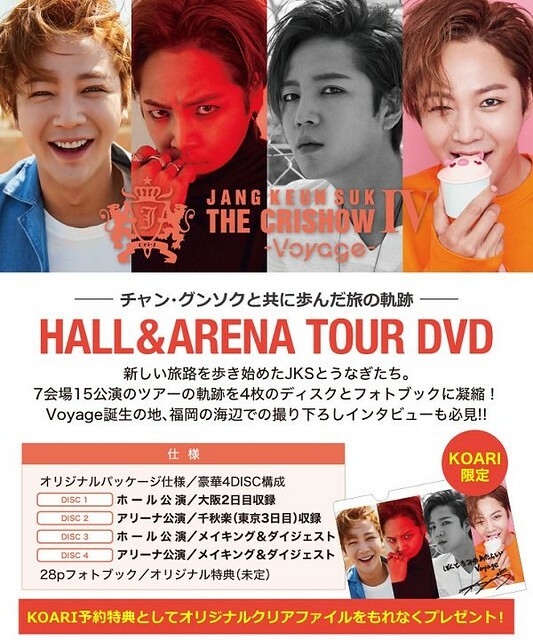 JANG KEUN SUK THE CRISHOW IV -Voyage- DVD will be released on on June 27, 2018. The release date is not soon, so only KOARI.net is ready to accept the order online. 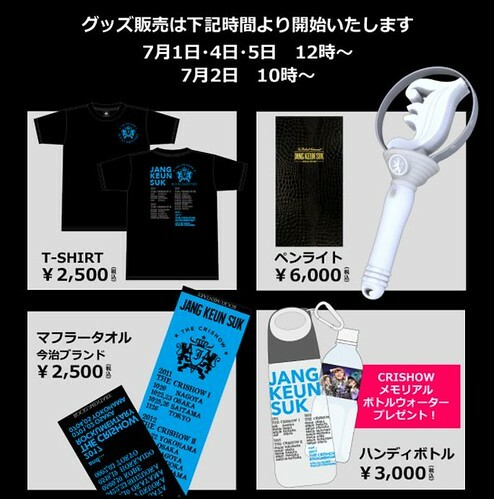 If you want to order these items at KOARI, please check [Info] How to order JKS stuff from Koari.net (and other Japanese online shops). You need a Japanese address to order, so you should use tenso (proxy) service. 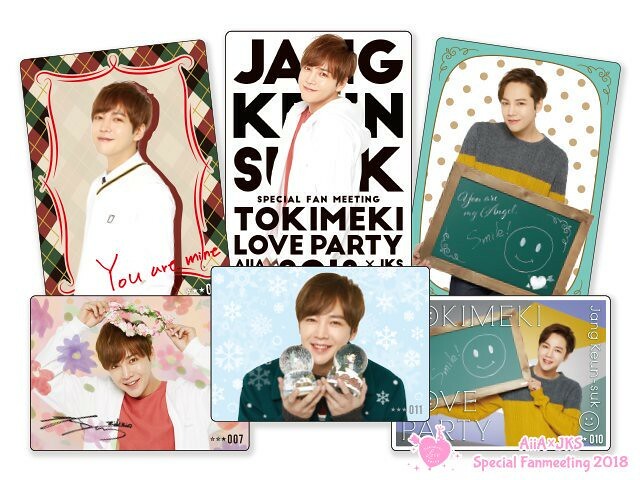 On February 22nd, JKS Mobile love simulation game ‘Jang Keun Suk heart-beating love story (Toki Love)’ holds the special fan meeting, ‘Tokimeki Love Party’ at TOKYO DOME CITY HALL. The official goods are sold at 12:00 on that day. 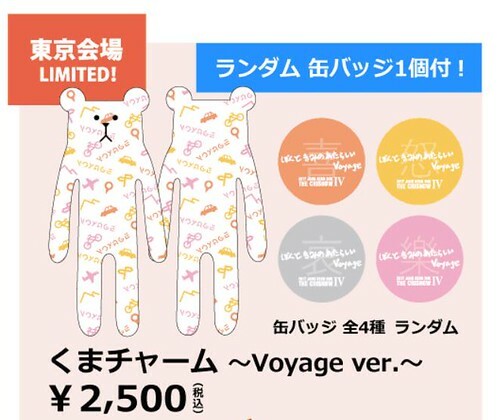 JANG KEUN-SUK THE CRISHOW IV ~Voyage~ new official goods, a bear charm (small stuffed doll of ‘Voyage’ bear) will be sold for Tokyo additional stages exclusively. Tye starting time for the sales is at 11:00 on February 9, 10 and 10. 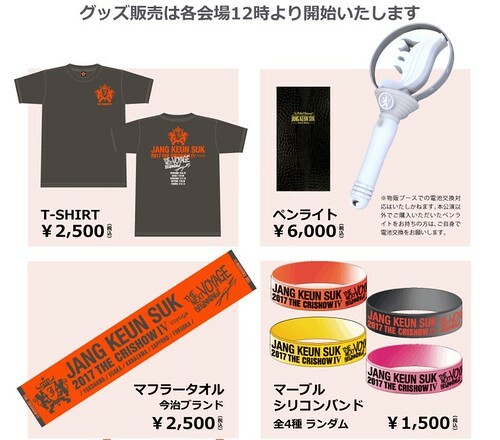 JANG KEUN-SUK THE CRISHOW IV ~Voyage~ new official goods will be released for the additional stages next year. The starting time for those goods are bit different from each venue. On January 17, 18 and February 9, it starts at 12:00, and on February 10 and 11, it starts at 11:00. Phographed exclusively, full of his current feelings! The official goods are sold at each venue at 12:00. The official goods are sold at each venue, but the time to start for the sales is different. Today new official goods are announced on the website. 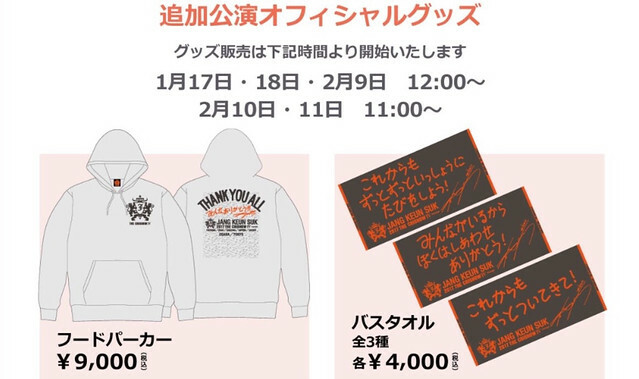 These items are sold at the venues at 13:00 on each day. 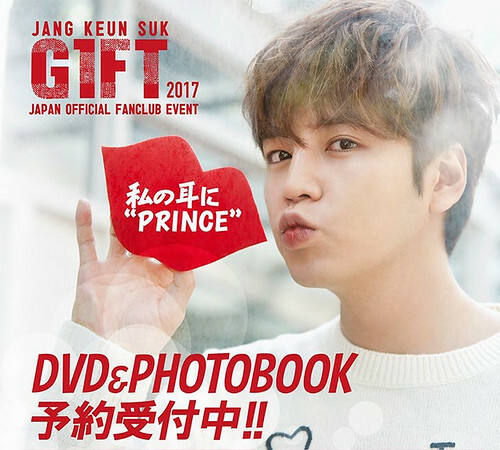 Here’s the flash news that Jang Keun Suk GIFT 2017 DVD & PHOTO BOOK will be released on July 7, 2017. We’re not sure if this DVD is sold at regular online shops such as YESASIA, CDjapan, Amazon.co.jp and so on because this is not concert DVD but JKS Fan Meeting DVD organized by JKS Japan Fan Club, so it’s possible that is sold only at KOARI. Net online. But we’re sure the PHOTO BOOK is exclusively sold at KOARI. 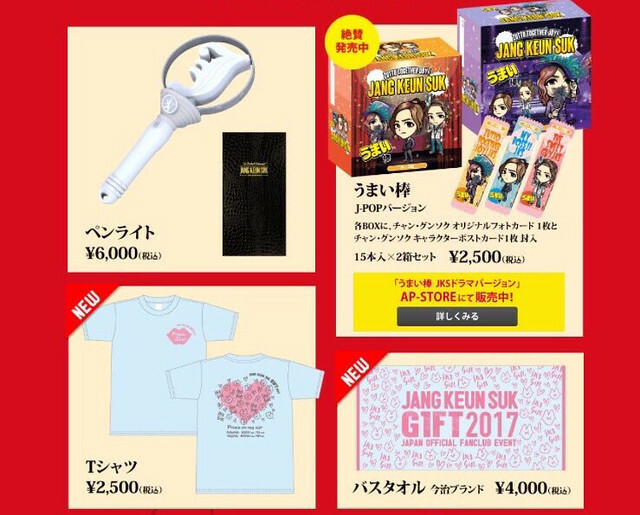 If you want to order these items at KOARI, please check [Info] How to order JKS stuff from Koari.net (and other Japanese online shops). You need a Japanese address to order, so you should use tenso (proxy) service. Here’s the item links of KOARI.net.